There's a barn in Murrysville, Pennsylvania that caught the eye of a friend of mine. There was something so beautiful and moving, especially when lit by the early morning sky, that she mentioned it to me. 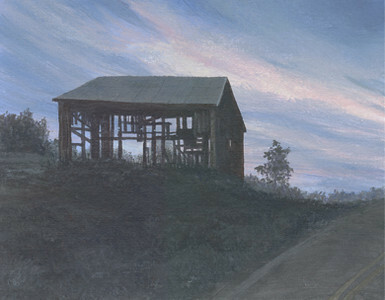 So, this painting was done for Peggy and her love of old barns.